04:00: You will be picked up from Hotel by our expert tour guide and bikes for each. 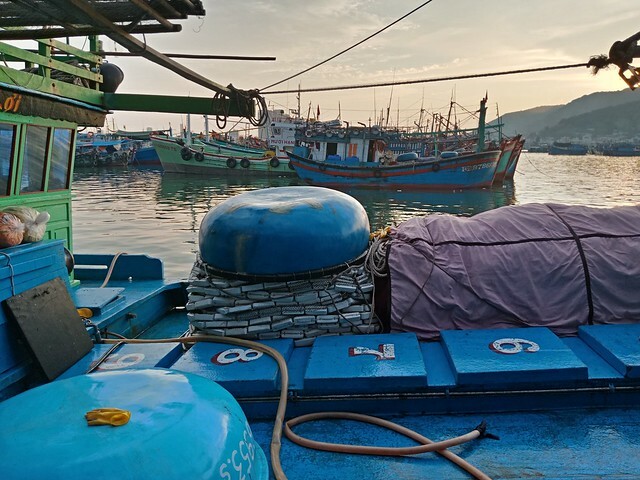 It takes half an hour to arrive at Vinh Truong fish port – local as knows as Hon Ro fish port. Wearing a boots to keep away from sea water and water smells. 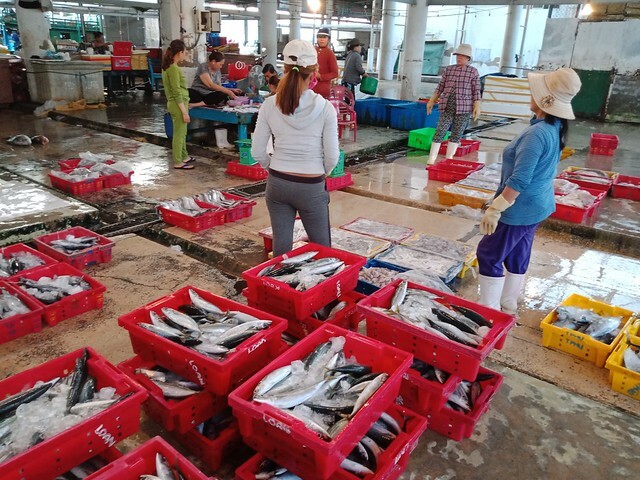 See the Fishing boat docked and begin to carry many big basket with fully of fishes to the retailers and sorting nearby port. Have breakfast with Vietnam noodles soup with fresh squid or taste of Vietnamese pancake with squid. Very interesting for the first time to Nha Trang. 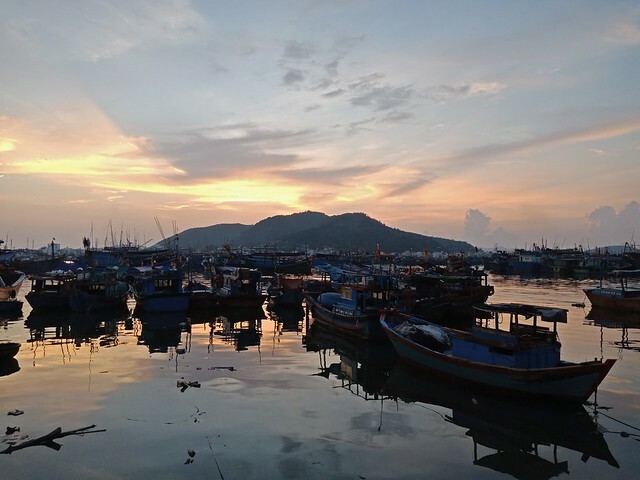 Stop at the beach, wait for sunrise and enjoy a cup of Coffee and talking about Nha Trang life. Friendly Travel Nha Trang wish you a good trip!